Opera’s AI-powered news service breaks 100 million monthly active users mark. The Norwegian browser maker announces plans to launch a dedicated news and video app soon. Opera, the developer of popular Opera Mini and Opera browsers, announced today that the number of monthly active users (MAUs) of its newsreader service has exceeded 100 million as of November 2017. This marks an unprecedented growth from two million to more than 100 million monthly active readers in less than one year. “News is not dead, you just have to provide people with the content they want without making them work too hard for it,” says Jan Standal, VP Product Marketing and Communication. Why is news reading growing exponentially among the Opera mobile browser users? That’s because the Opera team has developed its own artificial intelligence (AI) engine to provide them with relevant content in a smart way. The AI system studies users’ news-reading behavior in real time and learns from it in order to provide them with a personalized news offer. This means people get faster and easier access to news and videos that interest them. It’s an approach that works. The news and video service has witnessed a 50-fold growth since its introduction in the Opera Mini browser in January 2017. Usage data from November shows that the average user now spends 40 minutes every day inside the Opera browser and engages with between 65 and 81 news stories per day. This is also good news for publishers: Opera’s AI technology increases exposure of their articles by delivering them to relevant people who are thus more likely to comment and share. In 2017, Opera has partnered with over 800 websites and publishers, including 96 Indonesian publication websites. The browser is a great access point for exploring news and video content from the internet. It’s also an app used for everyday life activities such as online shopping, looking up information or mobile payments. 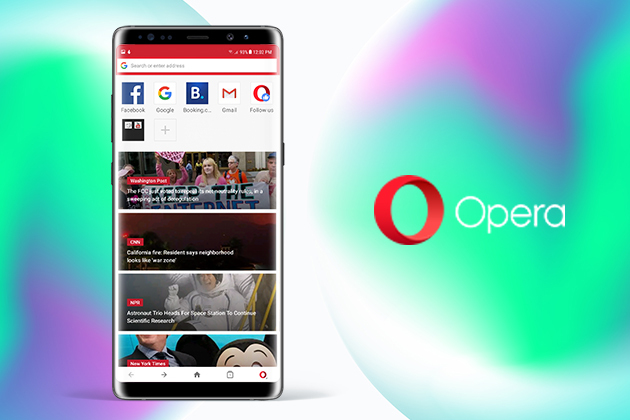 Because of this, Opera is planning to soon launch a dedicated news and content app, codenamed Opera Habari, offering users news and videos relevant to them. Opera Habari will use the same AI-engine Opera browsers. To experience the AI-powered newsreader on Opera Mini and Opera for Android browser, you can download the browser here. The web is an open platform that enables content publishers to generate high value through the web browsers. People are now increasingly requesting new and smarter solutions for aggregating news from various sources. Opera’s news and video engine recommends articles from tens of thousands of unique websites, driving billions of article views. In addition, Opera has signed up with more than 800 publishers and websites for commercial relationships. Opera thus generates high value throughout the publishing ecosystem.